A lot goes on behind the scene for both recruiting new members and renewing annual dues. Currently, the number one demand for new membership is deer with upland bird a distant second. The rut phase of deer season, which is typically between Halloween and Thanksgiving is peak time with deer, upland bird and waterfowl overlapping at the same time. To maintain quality hunting for the members and a hassle-free experience for our landowners, at times we must put a cap on certain membership types. Over the past 2 years we have turned down 20 plus potential new Iowa deer members since the demand has exceeded the supply. Also, we have recently denied Kansas Unit 11 and 10 deer applicants. With upland bird hunting the second highest demand, we are being selective with new upland bird applicants. We will also be selective with upland bird member renewals if need be. We’ve declined many potential new upland bird applicants with too many dogs and too much time. The average upland bird member hunts 6 to 8 days per season. A couple birds here and there satisfies the average upland bird member. We need to cater to this type of member for the club to prosper. One upland bird member typically covers us financially for a little over 100 acres of upland bird land. Do the math and you will see a couple upland bird meat hunters with unlimited time are a financial loss to the Association. My good friend Bill recently let me know he was interested in becoming a club member. 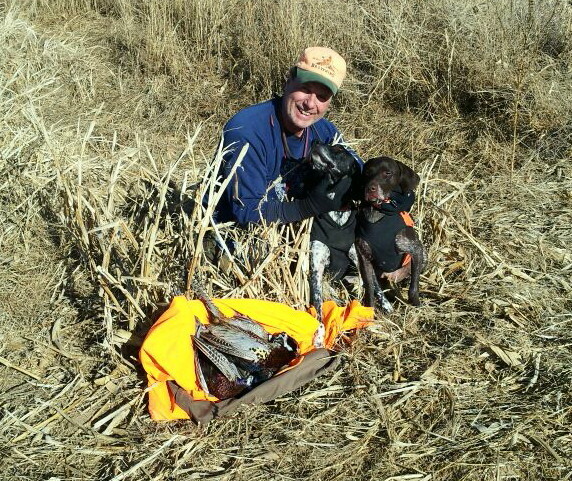 Bill and I have hunted quail/pheasants over the years on some private land as well as walk-in areas. I have always listed the benefits of club membership to Bill and it must have rubbed off on him. I believe Bill would make an excellent new member as he embraces my philosophy regarding upland hunting that it should be about good dog work, getting out during a beautiful season, and stewardship. I recommend Bill and would be happy to discuss his additional qualities if necessary by calling me. Bill is now a new member. Thank you very much Steve. Hopefully you guys will enjoy the Association together for a long time. Last year was an unusually tough season with members blatantly violating the rules. Unfortunately, during the 2017 season we were forced to expel 5 members from the Association. Four were deer hunters that challenged the reservation system and 3 out of the 4 were members for over 15 years. The 5th was a first-year upland bird hunter that was not able to deal with our rule on how many days a member can hunt an upland bird unit in 30 days. For the 3 % law ; please realize we closely watch and monitor each online and telephone reservations multiple times daily before and during the season. We know every trick imaginable to beat the system and have a strict solution to all of them.